October is National Breast Cancer Awareness Month and so many beauty brands are gving back to organizations that support breast cancer research and awareness. Here is a roundup of some Posh Beauty Blog’s favorite beauty brands and products that support Breast Cancer Awareness Month. Achieve ultimate relaxation with Summer & Rose - FabFitFun’s new, Venice-inspired beachwear brand. The line’s debut product is a whimsical, moisture-wicking yoga towel. The pink towel is perfect for BCA month and even features a motivational mantra. The Summer & Rose yoga towels are available for purchase on FabFitFun.com. They will be available through BCA month as well as through fall/winter. Breast Cancer Awareness Month is a cause that is near and dear to the heart of C.O. Bigelow Apothecaries. All year long, C.O. Bigelow donates 10% of all sales of their Freesia Candle to TheBreast Cancer Research Foundation (BCRF), a leading organization that fights breast cancer by advancing promising research around the world. Freesia, one of the brand’s most popular perfume oils, inspired this soft, floral scent featuring a heart of tart quince, jasmine, pink freesia and tender muguet. The feminine and uplifting power of this candle honors the spirit of The Breast Cancer Research Foundation. 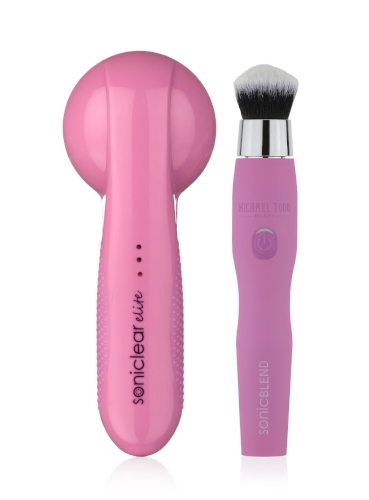 For the entire month of October, Michael Todd Beauty will donate 10% from the purchases of PINK bundle which features their best sellers – SoniCLEAR Elite and SonicBLEND sonic makeup brush. The donation will be made to the National Breast Cancer Foundation. Michael Todd Beauty is the inventor behind the world’s FIRST and ONLY antimicrobial SONIC cleansing and makeup brushes. The brand combines best of nature and science, offering a wide range of beauty tools as well as effective skincare formulations. In recognition of Breast Cancer Awareness Month this October, Skinn Cosmetics will be donating their efforts in the hopes of kissing BreastCancer "Goodbye" with their Lip 6x Balm in Watermelon. 100% of the sale proceeds for this product during the month of October will go to benefit Bright Pink. Feel free to kiss and tell with Skinn’s Lip 6x Balm in Watermelon. Formulated with Volulip, Maxilip, Filling Spheres, Vitamin C and Revinage, this lip treatment is tailored to hydrate, enhance plumpness and improve lip curvature for a smoother, more youthful appearance. While it instantly soothes, quenches and dries cracked lips, the Lip 6x Balm is sure to leave you kiss soft, plump and healthy. Love Your Lashes Support Awareness, Search for a Cure. SAFE products are important to all of us! And especially women battling this terrible disease, but why would ANYONE want to use a lash serum with scary growth hormones, carcinogens and irritation, and in the end, lackluster results that don’t live up to the hype? No more! 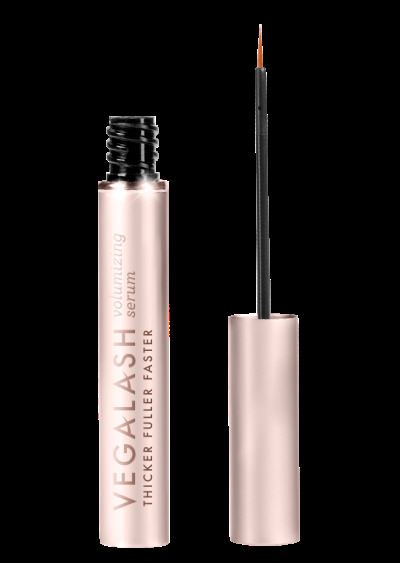 Now, there’s vegaLASH, a safe, 100%vegan, clinically-proven lash treatment that offers fast, real results, without scary ingredients or those pesky carcinogens used by leading brands. 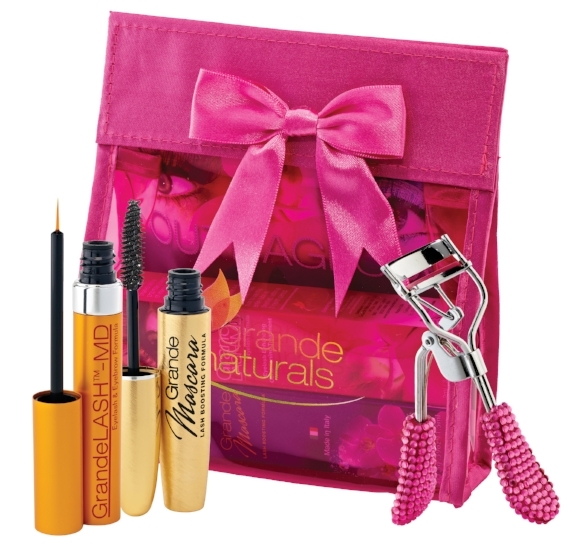 For every product sold, vegaLASH will donate $2 towards Breast Cancer Awareness. DERMAFLASH, the hottest new home-beauty device, is battling breast cancer by joining forces with Lynn Sage Cancer Research Foundation (LSCRF) this October. Created specifically for the delicate skin on a woman’s face, DERMAFLASH brings professional-quality exfoliation home, empowering women to achieve radiant, straight-from-the-spa skin in the privacy of their own bathroom. Breast Cancer Awareness is a cause that is very near and dear to DERMAFLASH Founder Dara Levy. Her mother is a breast cancer survivor and Dara is committed to helping bring women closer to a cure. In honor of Breast Cancer Awareness Month, DERMAFLASH will donate 20% of proceeds from sales of a special limited edition PINK DERMAFLASH device to LSCRF. You can read more about Dermaflash here. Sparkling Ice’s zero-calorie Pink Grapefruit Flavor proudly displays a Pink Ribbon on their bottle all year long with the caption “a portion of the proceeds will be donated to fund breast cancer research” This year alone, Sparkling Ice has already contributed over $140,000 through its donation to research and our sponsorship/support of Susan G Komen Affiliates Race for the Cure and Wings of Karen Bra Dashes across the county. In the Fall, Sparkling Ice will be making a $25,000 cash donation to the American Cancer Society at CenturyLink Field. Do you purchase beauty product that support BCA? Leave your comments below!